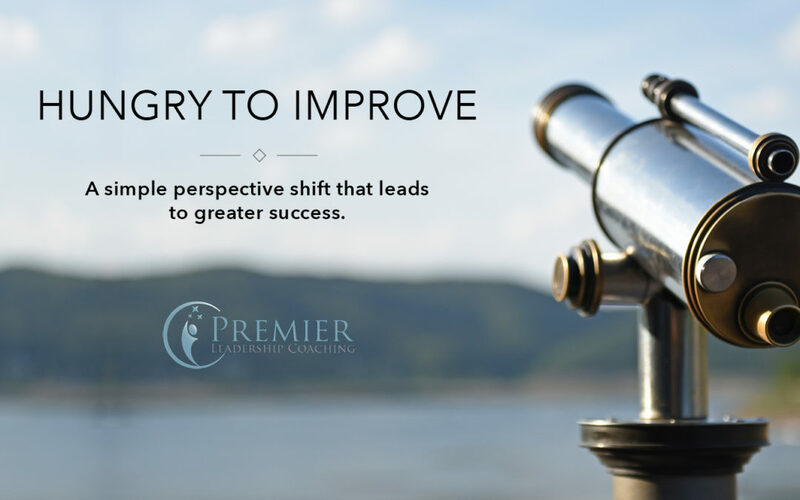 A simple perspective shift that leads to greater success. Many professionals have a mindset that limits their ability to be successful, make money and get what they want. Specifically, at some point in our lives we get the idea that the things we need to learn – about life, success, leadership – only come from experts, those older, wiser, more successful, or senior than we. But this thinking is mistaken and limits our ability to grow, make an impact, and obtain widespread professional success. In reality the important and much needed lessons about how to lead, motivate, and treat people surround us. They are being offered to us not just by those who have “made it” (managers, the C-Suite, parents, people with power and money), but equally by our subordinates (direct reports, interns, students, children) and peers (coworkers, team members, classmates). We encounter them at every turn, but only if we decide to do so. The opportunity to learn and grown and get better is everywhere if only we decide to see it and to let it in. I recently have been coaching my MBA students and with every coaching session I gain insight. I become more aware of my sharp corners – the places where I get in my own way and self-sabotage. Indeed, there are aspects of my personality and communication style that are working for me, but there are also pieces that are not and it is my students that lead me to those. One might think the students would be the ones doing all the learning and while I do like to think that they also are getting something out of the sessions, not all of them do of course. I am at peace with that. It is very much like life – some people are open minded, hungry to improve and willing and courageous enough to take a long, honest look at themselves and others are defensive, scared, desperate to be right, and only seek affirmation. But those who are brave enough to take the deep dive come out enriched, stronger, bigger and readier to take on the world and leave their lasting mark. However, as it happens, I learn equally from both groups of students. They share their lives with and let me into their deepest sorrows and greatest triumphs to varying degrees – some our open books and others keep me on a need to know basis. They tell me where they are getting it right and where they are making missteps. Throughout this process I have lightbulb moments like – “that hurts me too, I feel proud just like she does, I did that same good thing one time, and shoot I am guilty of that horrible behavior too.” Thereby each conversation is an opening for insight into myself. Everything the students share becomes a point of self-reflection. Interestingly, the sessions don’t have to have this result for me. It is a choice. My reaction could be different and my thinking could be more along the lines of – “I don’t know what he is talking about, why does that stupid thing make him feel badly, I never do that and his doing so makes me feel superior.” I could offer good advice as a coach, share conventional wisdom, talk about standardized leadership principles and that would be fine. The students certainly would get something out if it and they wouldn’t have any idea about my – judgmental and closed – innermost thoughts, but I would remain static, suffer and miss out on becoming more effective. I mention all of this because each of us has this very same choice to make every day in every situation we encounter and with every single person we speak with whether it be a 10 year-old-child, a low-level employee, a beginner of any kind, or our less intelligent, informed or experienced counterpart. In each moment we can all ask ourselves, “What can be learned here?” Each encounter gives us the chance to figure out how we can do things better – not better than the person with whom with are connecting but better than we personally did before. This endeavor is not about judgement, superiority, or affirmation. When someone else shares their obstacles, frustrations, mistakes, we can discipline, dismiss, judge, or move past it in some way or we can pause and honestly acknowledge to ourselves our own humanity and see that this person with all their stuff is simply a mirror image of us with all of our stuff. They were closed when they could have been open as have we. They were harsh when they could have been kind as have we. They were impatient when they could have been generous as have we. If we are interested in being our best, most successful, and prosperous selves we always must ask, “What does this tell me about myself?” Be careful that your answers are not “I would never do that, I am better, that is dumb.” The conversations and interactions we have are the map to our most impactful self. Whether you open it and begin the journey is entirely up to you. CONTACT ME to discuss what may be blocking you or your employees from success.